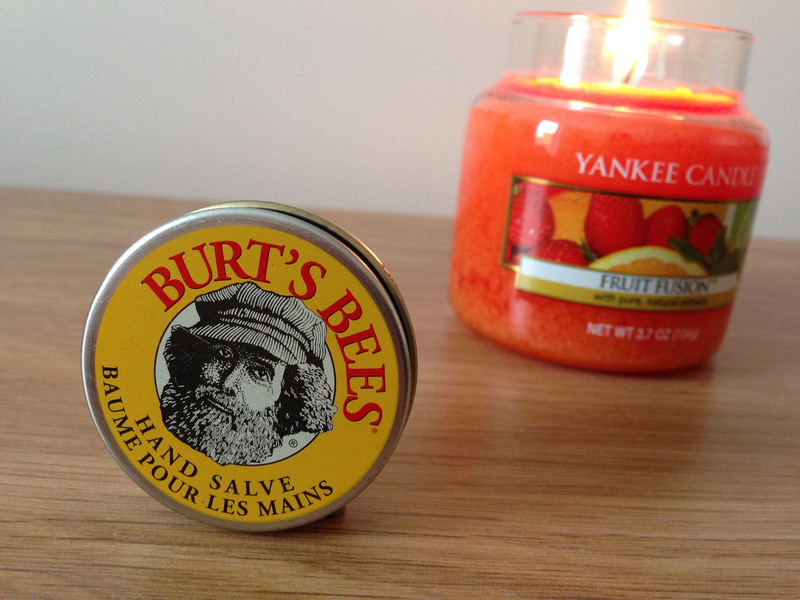 I’ve never used Burt’s Bees products before, and this essentials kit was a Secret Santa gift at Christmas. It’s actually the festive edition of the set, which just meant that it came in a red box rather than yellow/white – the products were the same though, and it contains 5 travel-sized products. Burt’s Bees are a cruelty free brand complete with Leaping Bunny (yey!). However their parent company (Clorox) is not cruelty free, so if you’re committed to the cruelty-free cause this is a bit of an issue. In this case though it doesn’t upset me because it was a gift, and I’ve decided to review the products anyway, whilst making sure that this is clear. I have to say it’s a real shame though, as I love their earth-friendly, natural products ethic, and the fact that they’ve even gone as far as the potato starch insert tray which can be recycled with paper. This is a moisturising cleanser for the face, used simply by massaging into wet skin. 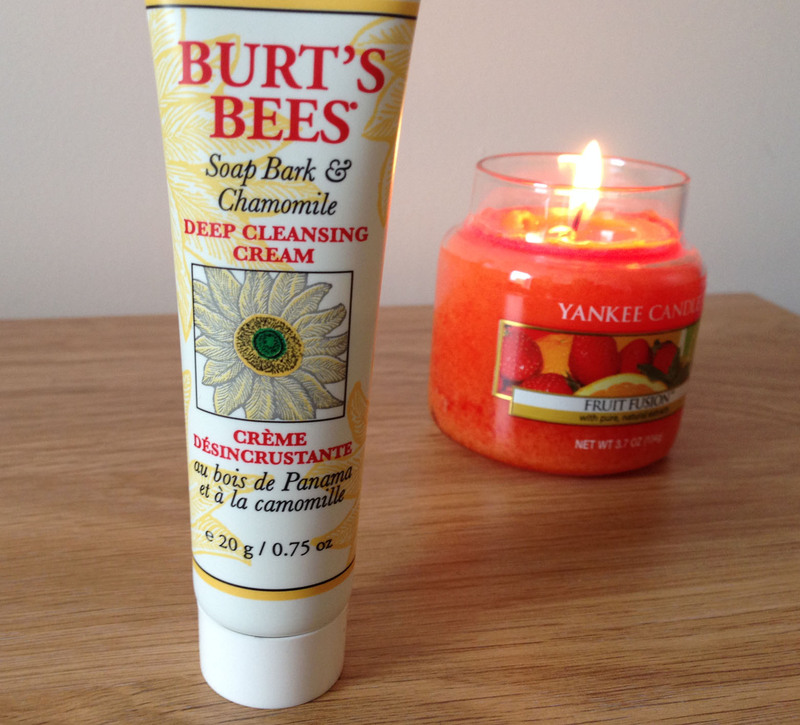 I really liked this as a cleanser, not least because is really smells like sherbet – lovely! The scent lingers on your skin too, and there’s nothing wrong with smelling like sweets! I do think it’s nice to have a travel sized cleanser for going on trips, and this one was a particularly nice one to use. This is a very strange product to me. 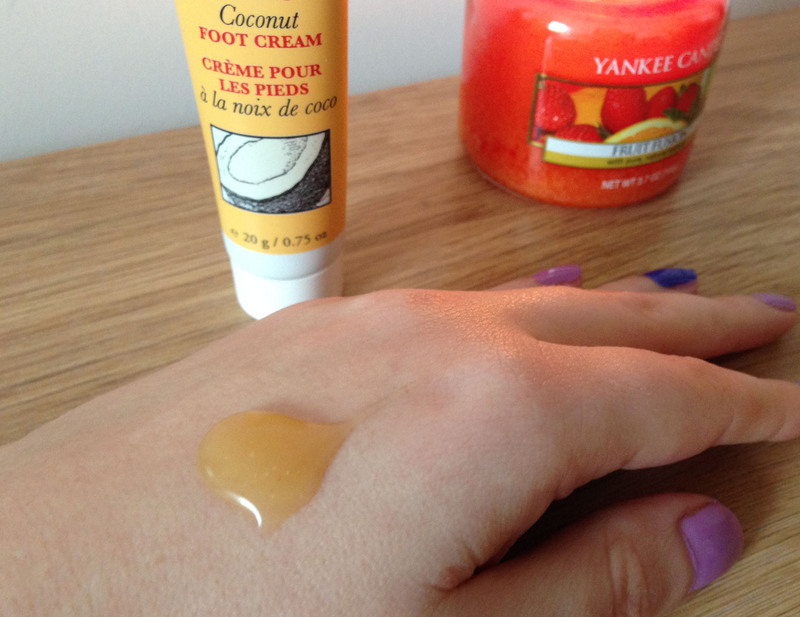 I like my hand creams thick and creamy, and this is a solid balm in a small tin. 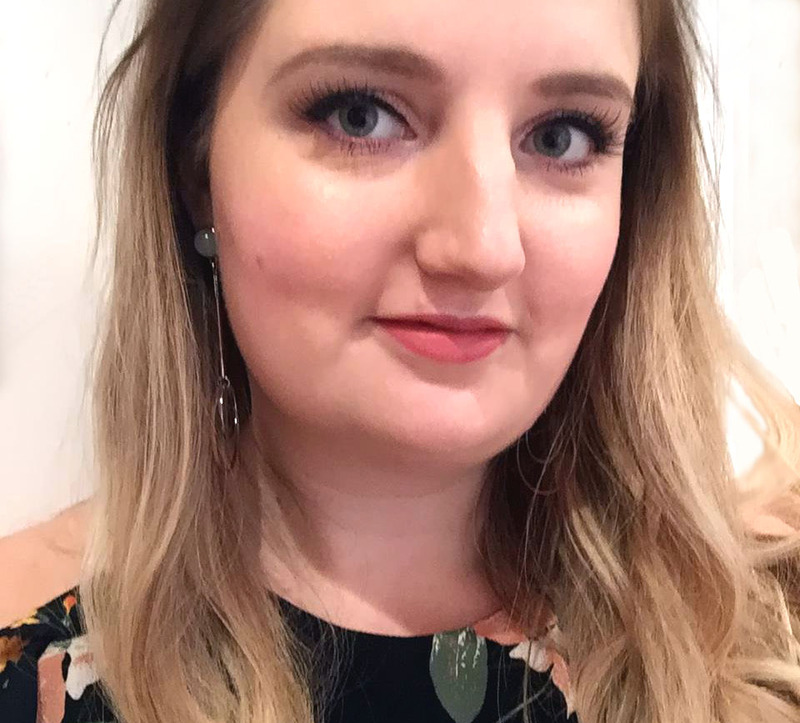 It was hard for me to get on board with it really, as you can’t apply the product liberally and this is what I really want to do. Instead it’s a case of rubbing your fingers over the salve to get as much as possible and then massaging it over your hands. And the initial result is just greasy hands! However, I will say this – once the greasiness wore off a little my hands did feel well nourished, so I’m happy to continue using this tin until empty. I’ll probably just stick to evening/overnight use. I used this so fast I don’t even have a photo of it. And there’s not much to say really. It did the job as a moisturising body lotion and was a handy size for a mini break. I definitely need a bigger tube for normal life though! This lip balm is minty! 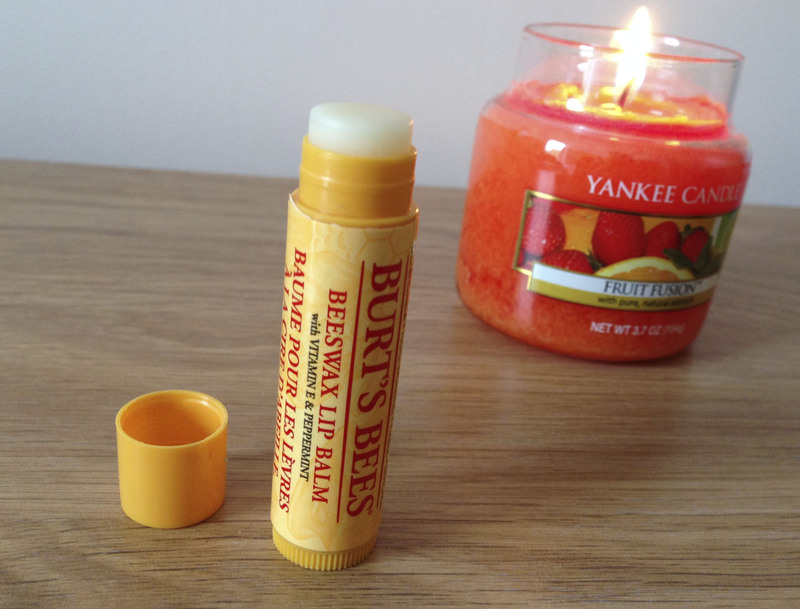 It smells of peppermint and makes your lips tingle a little, which I quite liked. It has no colour to it, which I like in a lip balm. And I’m finding it nice and moisturising too. 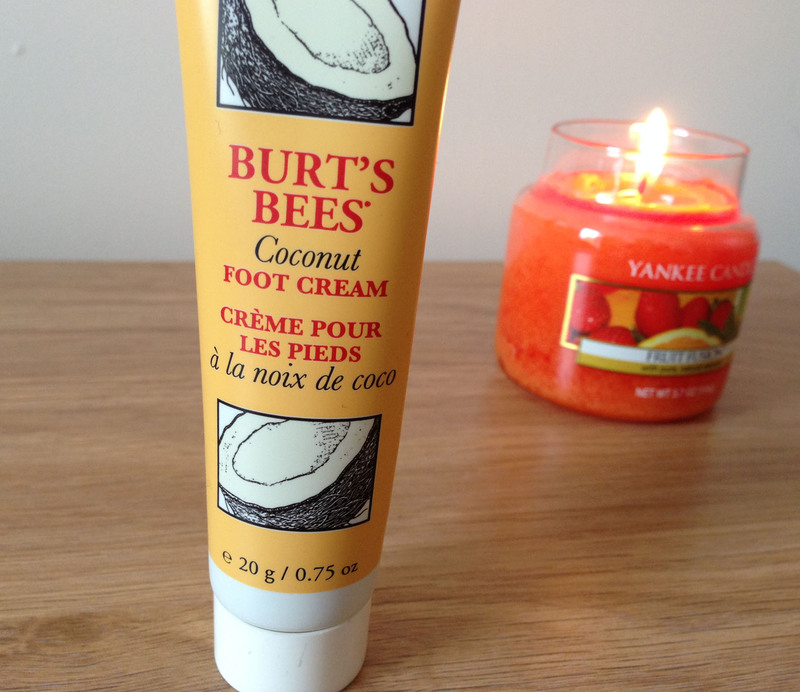 This was probably my favourite product from the pack as I don’t normally use a dedicated foot cream. It has a very thick non-runny gel consistency and smells of both coconut and peppermint. I use it after baths in the evenings when I massage it into my feet, and it’s just lovely. The peppermint means it is cooling and soothing, and it’s full of coconut oil for moisture. The pack suggests applying before bed and covering with thin socks, and I can recommend that for lovely soft feet! 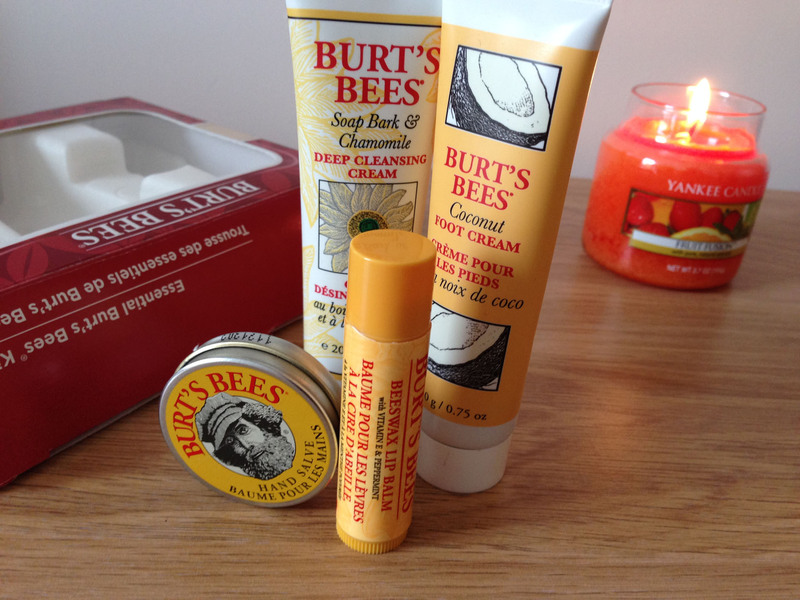 I’ve enjoyed using this kit, and it was nice to try out the Burt’s Bees brand. Sadly I’ll probably not repurchase any of the products due to their parent company not being cruelty free, but that’s a bit of a shame as otherwise I’d definitely consider the foot lotion and the cleanser. I really wanna try this beewax lip balm! I think honey can do wonders so this product should be good!